Welcome to the Faculty Development Committee’s support website. We hope we are able to serve our faculty in their pursuit of innovation and design for the success of our students. Teaching is more than being an expert in your field of study. How we engage students, organize and plan our classes makes an impact on student success. These resources should support you in considering how you approach teaching, support student learning, maintain best-practices, and work toward work-life balance. The following resources could be integrated into your class as a career unit, shared with students as applicable, and used to support student learning in your class. 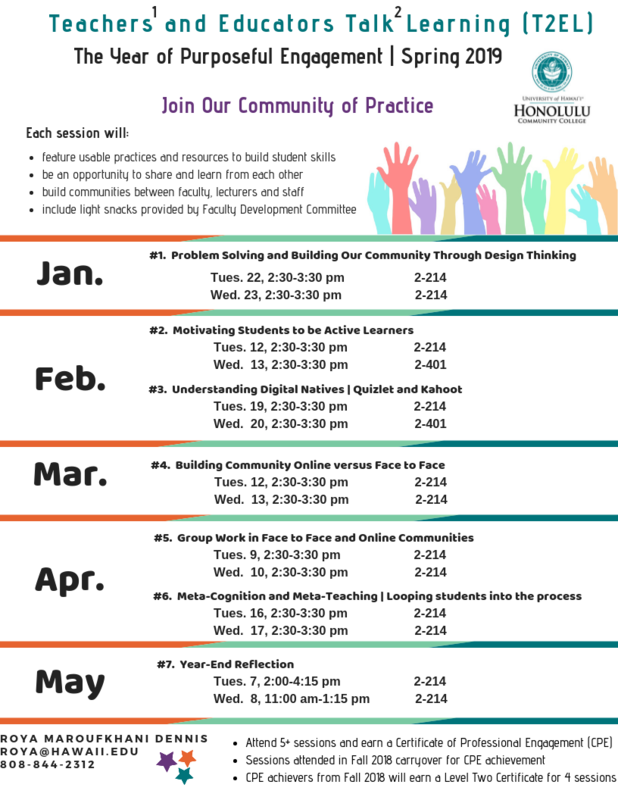 Honolulu Community College considers faculty to be one of its greatest assets. A program of faculty development is therefore dedicated to aggressively supporting the on-going personal and professional growth of all faculty. By providing information, training, forums, connections, and other support services and activities, the program vitalizes faculty, strengthens the college, improves the quality of instruction and helps the college better serve the community. Assesses Faculty Development interests and needs. Plans and implements activities in support of Faculty Development. Creates an annual budget and action agenda. Develops guidelines for the distribution of funds allocated for Faculty Development. Allocates funds for proposed Faculty Development activities. Reviews and evaluates the effectiveness of Faculty Development activities. Facilitates communication with the faculty at large. 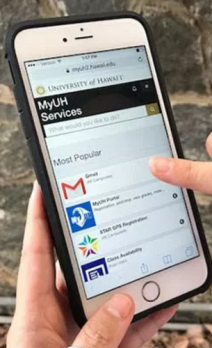 The University of Hawaiʻi Community Colleges (UHCC), having just celebrated fifty years of contributing to creating higher education opportunities for Hawaiʻi’s citizens, are poised to have an even greater impact going forward. The need couldn’t be more critical. All economic forecasts indicate most U.S. citizens in the near future will need some kind of postsecondary credential to enjoy a living wage occupation and for their local economies to compete in the global workforce. 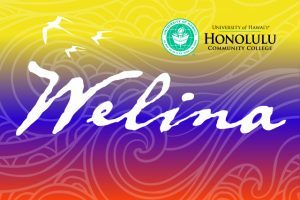 In recognition of this fact, the State of Hawaiʻi through its P-20 Council has established a goal of ensuring that 55% of Hawaiʻi’s working-age residents have at least an associate’s degree by 2025. This strategic plan, built on the student success agenda of UH Community Colleges over the past six years and aligned with the University of Hawaiʻi Strategic Directions, is designed to create the opportunity, the success, the economy, and the quality of life desired by Hawaiʻi for its residents. 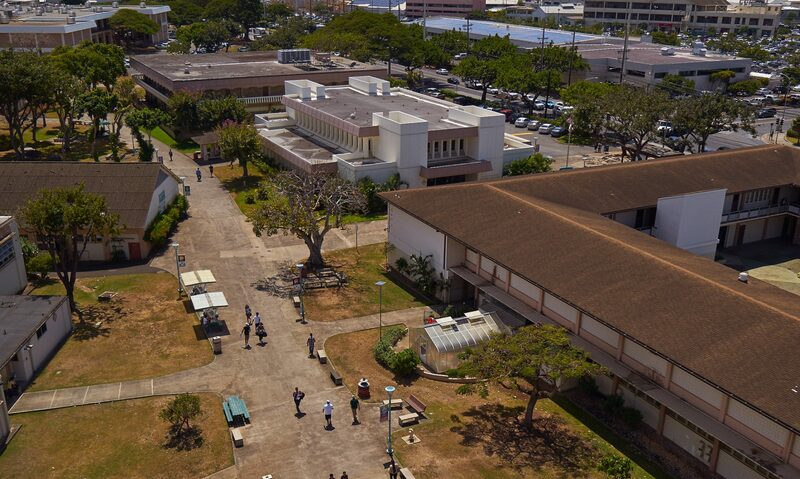 Honolulu Community College provides accessible educational opportunities through an engaging learning environment that values academic excellence and personal growth of all students, with a kuleana (responsibility) to Native Hawaiians and our community, through career, liberal arts, technology, transfer, and professional training programs.